Kim Hollis: Planes: Fire and Rescue, the sequel to Disney's cash grab from a year ago, earned $17.5 million this weekend. What do you think of this result? Matthew Huntley: If this movie wasn't tied in with a whole slew of merchandise, I'd call this figure a disappointment (given the movie's surprisingly high $50 million production budget), but as it is, it will open up a large enough window of awareness that the studio will still turn a hefty profit. This is good news for Disney, but likely not for audiences, as it means we'll be subjected to yet another sophomoric animated movie from the Mouse House, perhaps even another Planes sequel. Granted, I haven't seen any of these movies, but judging by their trailers, they're full of lame jokes, puns and predictable stories. I'm speculating when I say this, but it's a shame this is the only offering out there for kids right now. 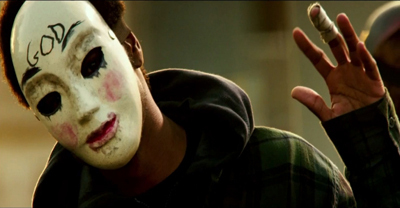 Edwin Davies: As with The Purge: Anarchy, I think that this result is not as bad as it could have been considering that the first film wasn't a huge hit or particularly well-liked. That it was only a few million short of the first one's debut probably says more about the lack of anything for family audiences than it does any goodwill for the first film, and will probably allow it to chug along nicely for the next month or so. But, as with Planes and the Cars films, the box office is far less important than the merchandizing, the profits from which will dwarf whatever Planes: Fire and Rescue makes in its theatrical run. Jay Barney: I was a strong defender of Disney's decision to throw Planes into the summer box office slate last year, and I don't mind them doing it this year either. That said I probably won't take my son to see Planes: Fire and Rescue, but if you look at the landscape, there is actually a chance that Fire and Rescue could repeat 2013's success. Yes, the opening is a little lower and the budget was about the same, but Disney has placed this film very well against competition. I've always thought one of the reasons Planes did so well last year was its place in the schedule. It was released on August 2nd and literally didn't have any direct competition until Cloudy With A Chance of Meatballs in late September. Fire and Rescue appears to be quite lucky, the kids schedule is looking pretty devoid of screen time for the rest of July and August. Fire and Rescue could get attention by the fact it is the only kids option out there.